[By Nick] One of the major downfalls of living in the middle of nowhere is that Dubba is able to brag about the vast amount of brands he has access to. So when one of those companies offers to send me samples, I can't refuse that offer. 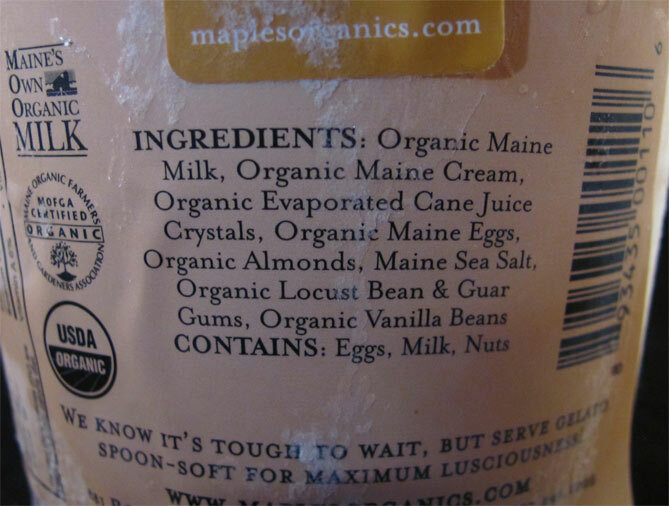 Case in point: Maple's Organics. While Dubba hasn't covered them much, they have quite the selection of flavors I've been interested in. 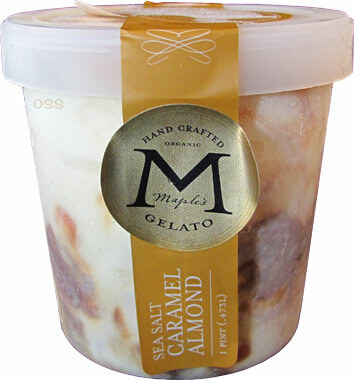 They sent me 4 free pints to review so let's start things off with their Sea Salt Almond Caramel. First off, I love how more and more companies are using reusable, clear packaging. Not only does it make the product look more appealing, it makes me feel better knowing that I'd be able to repurpose the container after I'm done. The top layer is just as enticing as the outside of the carton. After letting it temper for around 5 minutes, my spoon is greeted with a very smooth texture. Not quite as smooth as say Talenti or Graeter's but smoother than your typical ice cream. That smoothness transfers over into the mouth feel as well. I will always prefer the texture of true gelato to that of ice cream and that's definitely the case here. While I'd like a little more velvetiness, there's not really much to complain. The base is described as vanilla bean but I'm really not picking up much of the beans qualities. There's actually a bit of saltiness going on which might be overriding those vanilla bean specks I see. It's definitely a unique base that you have to get used to. 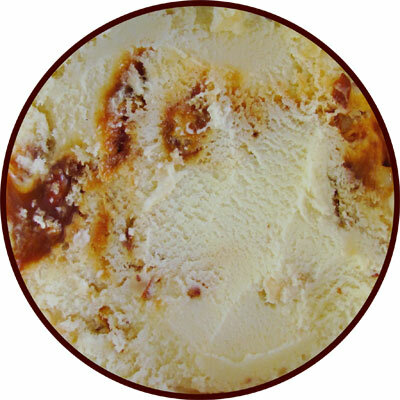 The caramel adds more of a buttery sweetness that counteracts some of the saltiness in the base. Add in some added saltiness and crunch from the almonds and there’s something really familiar about this flavor that I can't quite put my finger on. 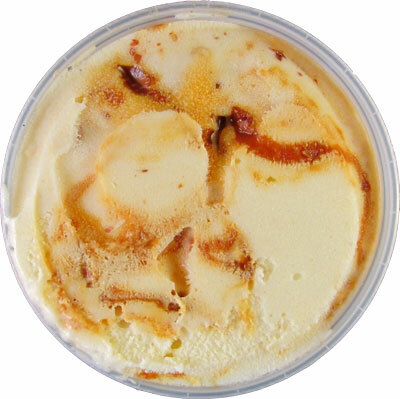 Oh wait, this flavor reminds me a lot of Jeni's Brown Butter Almond Brittle. It's not as buttery but there are a lot of similarities and I wouldn't be hesitant to say I enjoy this flavor more than I did Jeni's based on an overall product. I know that sounds like blasphemy but you have to take my word on this one. The combination of flavors works perfectly for a nice sweet and salty punch. My only minor complaint has to do with distribution of ingredients in my particular pint. While the top layer has a lot of caramel and some almonds, one third of the way down in my pint there was only few traces of either ingredient. This isn't necessarily a bad thing in my case since it let me really get a feel for Maple’s quality as well as the base’s flavor. Thankfully, the last two thirds were loaded with both caramel and almonds to make up for it. Overall this flavor is definitely worth checking out and I'd easily pick it up before I gave that Jeni's flavor another shot.